MacWire generates new instance creation code of given classes, using values in the enclosing type for constructor parameters, with the help of Scala Macros. DI container replacement. Version 0.2 has just landed! First, some bad news. 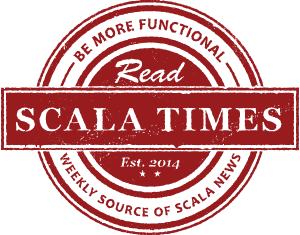 Due to limitations of the current macros implementation in Scala (for more details see this discussion) in order to avoid occasional compilation errors it is necessary to add type ascriptions to the dependencies. This is a way of helping the type-checker that is invoked by the macro to figure out the types of the values which can be wired. This is a major inconvenience, but hopefully will get resolved some day. See the “Limitations” section in the README for more details. Also, it is worth noting that the type ascription may be a subtype of the wired type. This can be useful if you want to expose e.g. a trait that the wired class extends, instead of the full implementation. Now, to the good news. Especially when developing web applications, it is very useful to scope some of the dependencies, so that there’s a new instance for each request (but for each dependency usage, it is the same instance in one request), or that there’s a single instance per http session. So far MacWire had two “built-in” scopes: singleton (declare the dependency as lazy val) and dependent (def). Now it is possible to create custom scopes, by implementing the Scope trait. Scopes often seem “magical”; in traditional frameworks it is usually necessary to add an annotation to the class and then the dependency is automagically turned into a scoped one by the container. In fact implementing a scoped bean is quite simple. We need two things. Firstly, instead of using instances directly, we need to use a proxy which delegates method calls to the “current instance”. What “current instance” means is scope-specific. Secondly, we need a way to read a value from the scope, and store a value in the scope, if there’s no value yet. The two methods in the Scope trait correspond directly to the two cases outlined above. Note that the scope here is abstract (only the name suggests that it is a session scope). This has a couple of advantages. For testing, we can substitute a NoOpScope. Also, we can move the framework-integration code to the integration layer, or even provide a couple of implementations depending on the framework/container used. Note also that it is trivial to use a scoped value e.g. in an asynchronous process, where no web request is available: simply associate the scope with any storage, can be a temporary map. In traditional web frameworks this usually requires some amount of hacking. You can see how this works in practice by browsing & running a Scalatra+MacWire example application. To run, clone MacWire and use this command: sbt examples-scalatra/run. 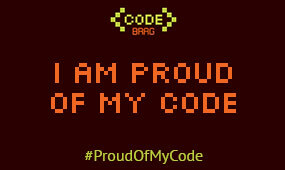 To browse the code, simply head to GitHub. The example contains a request-scoped dependency (SubmittedData), session-scoped dependency (LoggedInUser) and three main services (Service1, Service2, Service3). Each class has some dependencies (declared in the constructor), and is wired using wire. The code is organised in two modules: logic and servlet. The services have methods to return a string-status, containing the current request and session-scoped values, so that it is possible to verify that indeed the values are shared properly. The servlet module contains a servlet which shows the service status, plus the scopes implementations. Note that the scopes subproject is completely independent, and can be used stand-alone with manual wiring or any other library/framework. Its only dependency is javassist.